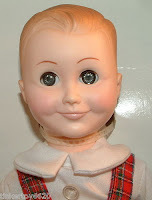 Those of you who are faithful followers of this blog know that I have a thing for dolls. I was clearly doll-deprived as a child and have therefore made up for it by buying enough for three childhoods now. Dolls sit around my house perched in cabinets and on my dresser (and according to one of my daughters watch us in a creepy manner). The thing I love about dolls though is that they are like clean, obedient little children. A beautiful doll embodies all the tender, precious things about motherhood. With that in mind, you would think that people who are creating baby dolls would make tender, precious dolls–and usually they do. If you look on ebay right now under “reborn dolls” you’ll find hundreds of gorgeous, one of a kind dolls. 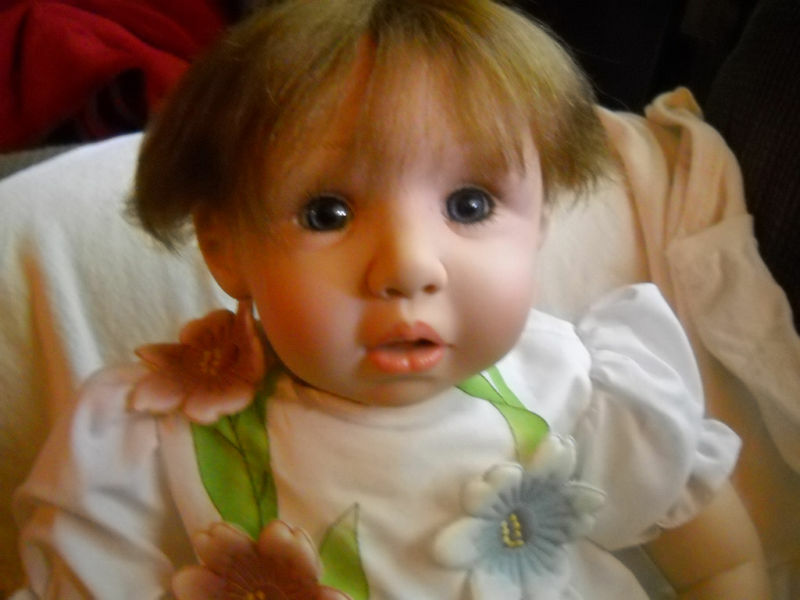 Here are a couple of good examples of reborn dolls. Aren’t they sweet? Don’t you want to take them home? Unfortunately not all dolls or doll artists live up to these high standards. When I saw the next dolls listed, I didn’t really get that “warm” and “precious” vibe. They seemed to be saying something altogether different. 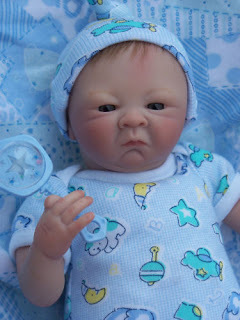 This doll is saying, “Get that @#$*& camera out of my face!” Either that, or he ate something that didn’t agree with him. Either way, this isn’t a motherhood moment I’d want to pay money for. 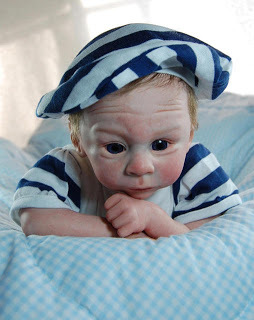 The description for this doll said, “So lifelike!” If your kids look like this . . . well, never mind–but trust me, lose the hat. It won’t make junior’s life any better. This doll clearly just received terrible news. Did someone cancel Sesame Street? You see this doll and wonder what has been put in his bottle, because he seems to suffering from a hangover. The next doll says you don’t need to set up that trust fund for Harvard quite yet. Ditto for his future girlfriend. 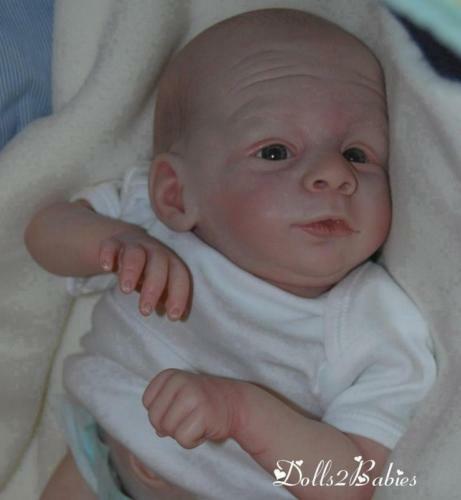 This doll says start saving for that Harvard trust fund right away, because junior can already tell he’s smarter than you. As soon as he’s able to reach the keyboard he’ll be sending out advertisements for parents more to his liking. And by the way, you’re out of Grey Poupon again. And his sister doesn’t think much of you either. Oh. My. Hilarious. 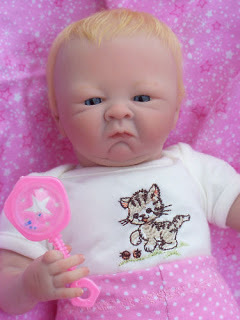 I just looked at your other two ugly doll posts and I’m dying. Soooo funny . . . And scary. Thanks for the laugh! Creeeeeepy. Those are the types of dolls you can imagine coming after you in your sleep! My favorite doll is the hangover one. SO funny! I like the bitter pouty one with the matching sister. Did it say which state they were from??? Lisa, the world of doll making is an interesting place. Tiana, I’m sure that last one will. Dena, yep, that’s a face I want staring out of my doll cabinet at me every day. Person, they don’t usually say where they ship from, but if you find the listing, I’m sure you could ask. My fav is the creepy on at the end with the hangover one running a close second. Very funny. Yeah, I’d sort of like to get the creepy one just so I could leave it in bizarre places to creep out friends and family. 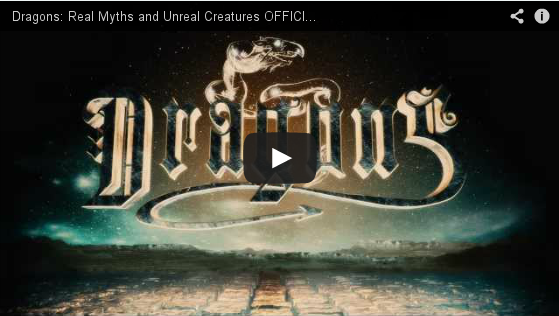 omg… I SO thought this was going to be a cutesy post, but I was pleasantly surprised! I genuinely laughed so hard, I almost peed. 🙂 Great blog, I will definitely be back! Thanks, Kitty! That is my goal here–to make people laugh until they pee. But really, with those dolls, what do doll makers expect? Eek! Dolls have always scared me. And, also, I would be incredibly honored if you would just look at my co-authored blog. You’re such a great writer! Creepy Indeed. But this is all the while still very fascinating! !